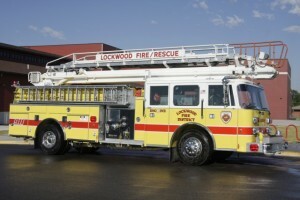 Lockwood Rural Fire District #8 (LRFD) was formed as a taxing fire district in 1988. The LRFD is continuing to see commercial and residential growth, and anticipates a higher percentage of growth due to the new sewer system that is being installed in the Lockwood community beginning this spring. The LRFD currently has over 9,000 permanent residents along with several thousand people who commute and work within the district. The LRFD is comprised of over 80 square miles of coverage area with an anticipated increase of 30,000 acres of wildland fire protection area as contracted with Yellowstone County (effective July 1, 2009). The LRFD includes a major railway that serves several industrial sites along with several miles of I-90 and I-94 being located within the LRFD. The LRFD protects schools, infrastructure, businesses and industry. More specifically, the LRFD protects 235 commercial properties and over 3,100 residences. Many of these residences are located within significant wildland-urban interface (WUI) fire areas. In addition, the LRFD protects at least 7 SIGNIFICANT hazardous materials operations, not including railway and interstate hazardous materials transports that pass through the district on a daily basis. The 7 hazardous materials sites have been identified as having some of the greatest potential safety concerns within the state of Montana. The division between the City of Billings and the LRFD is the Yellowstone River. For the purposes of perspective, the radio and television towers on Sacrifice Cliff across from Coulson Park, are part of the LRFD. Exxon-Mobil refinery is technically NOT in the LRFD, but the LRFD surrounds the refinery and all the businesses and citizens that surround it. The LRFD and Exxon-Mobil have an excellent working relationship. The LRFD is a special district and is a political subdivision of Yellowstone County. The LRFD is a tax based fire district that is governed by five elected trustees who meet monthly. The LRFD is not a volunteer fire department. The LRFD is technically considered a career/combination fire department. The LRFD currently employs 14 fulltime career firefighters to include the chief, along with 1 administrative assistant. There is always a minimum of 3 firefighter/EMTs (captain, engineer & firefighter/paramedic) on duty 24 hours per day, 7 days per week. All LRFD firefighters, to include the chief, are required to be Emergency Medical Technicians. LRFD firefighters have EMT certification levels that vary from EMT-Basic, EMT-Intermediate to EMT-Paramedic. The LRFD has an active reserve firefighter program and strives to maintain at least 15 reserve, on-call firefighters that are required to work shifts with career staff and are subject to call in for major incidents. The LRFD provides fire protection to include, but not limited to, structures, wildland, vehicle and any other fire suppression operation that may present itself. In addition, the LRFD provides hazardous materials response to include mitigation and incident management. The LRFD has two full sets of vehicle rescue/extrication equipment. The LRFD also has active fire inspection/fire prevention education programs and other fire/rescue related services. The LRFD has adopted the International Fire Code (IFC) and maintains an aggressive fire inspection program in an effort to protect lives and property. 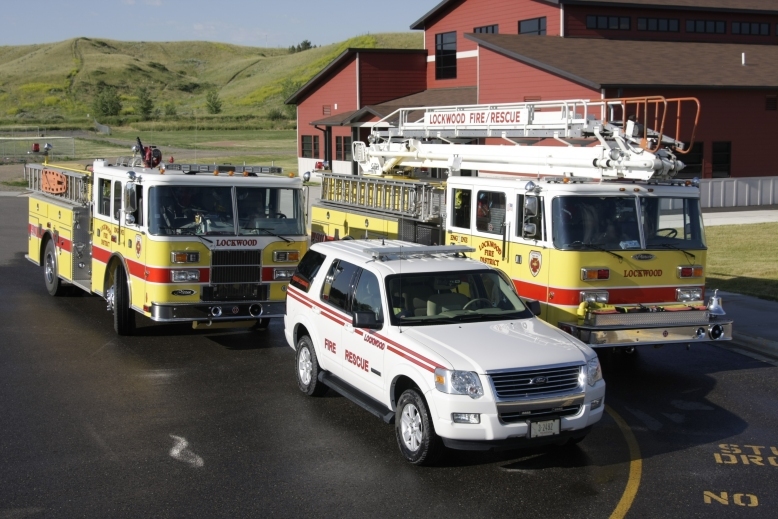 The LRFD currently operates out of one fire station located at 3329 Driftwood Lane, Billings and responds to approximately 700 emergency incidents per year. The station originated as a modular home with a double garage and has had numerous additions added to it over the past 30 years. Due to a lack of space, the LRFD must leave at least 3 fire units outside. The LRFD purchased approximately 4 acres of property at 501 Johnson Lane several years ago. This purchase was made for the purpose of constructing a new fire station on the site. The LRFD is aggressively seeking funding to construct a new fire station at that location as to accommodate current and future needs for fire/EMS/rescue service delivery. The LRFD is the only fire based, paramedic level (ALS) transport ambulance in the county. 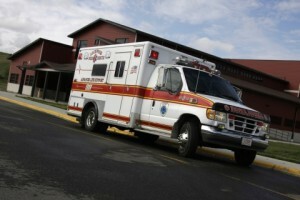 The LRFD provides ALS ambulance transport with two ALS equipped ambulances. Again, the LRFD always has a minimum of at least 3 firefighters (captain, engineer, firefighter/paramedic) on duty at the fire station. The LRFD currently has 2 fire engines, 1 ladder truck, 1 water tender, 2 brush trucks, 2 ALS ambulances, 1 special response vehicle (ATV donated by Hi-Tech Motor Sports), 1 command/support vehicle, 1 chief’s vehicle and 1 emergency response trailer. The LRFD protects areas serviced with a municipal water system established and maintained by the Lockwood Water and Sewer District. In addition, the LRFD protects areas within the district where there are not fire hydrants and therefore, must have apparatus to carry water to the fire area. The district and several residents maintain “dry hydrants fillsites” or underground water tanks with capacities of up to 10,000 gallons of water that can be used for water supply during fire suppression operations. 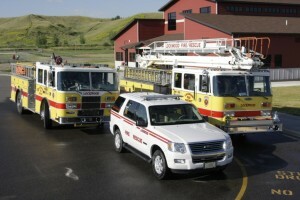 The LRFD works closely with Billings Fire, all Yellowstone County fire departments, American Medical Response and is a partner in the Southern Zone Fire Council which consists of 7 counties to include Yellowstone, Stillwater, Treasure, Big Horn, Carbon, Musselshell and Sweet Grass counties. The LRFD also has a close working relationship with Exxon-Mobil and the Exxon-Mobil Fire Brigade. These strong partnerships enhance emergency services delivery to all of the involved communities.